My name is Jen. 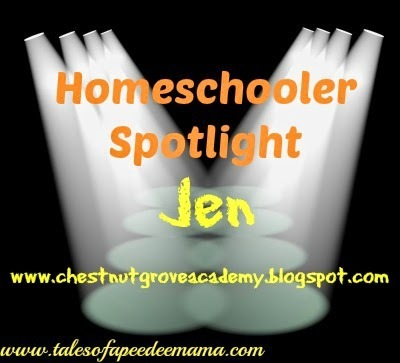 I'm a homeschooling mom to 4 kiddos (3 boys and a girl). I have a Master's Degree in Early Childhood Education. I worked in the field for several years prior to having my own children. I started my blog as a way to be accountable to myself, it's turned into so much more. I love being able to share ideas and reviews (and sometimes giveaways) with all of you! I have benefited so much from other bloggers, and hope that in some way I can do my part to pay it forward! Thanks for reading! Find me at Chestnut Grove Academy. Some folks prefer to use what is called a ‘boxed curriculum’. This is when you order your curriculum in its entirety all from the same company. This doesn’t always work for every one, that is where piecing and supplementing comes to play. Piecing is a very eclectic approach, it can be more labor intensive and requires more research and choices to be had. I don’t want that to turn you off though, because once you find what works for your child – it’s worth it!! 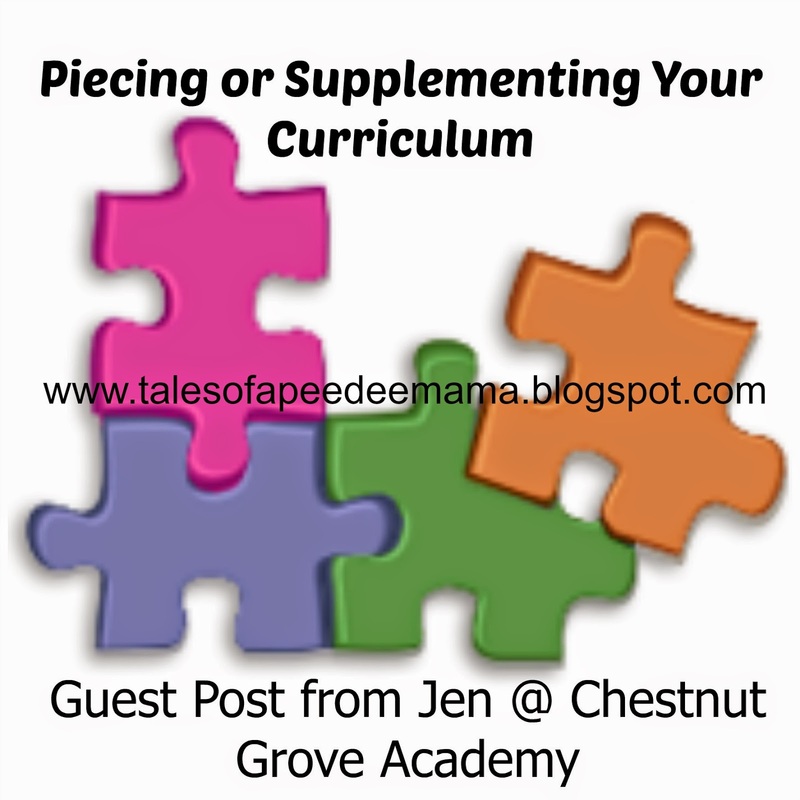 Piecing refers to taking from a wide variety of resources and putting them together to form your own ‘boxed’ curriculum. Supplementing comes to play if you like what you are using, but you wish it had more of this or that. (ie more reading, or more experiments/hands-on) You could also supplement because your child didn’t quite grasp a particular topic the way your program taught it, or they want to learn more about it than what your curriculum provided. This is also great for ‘child- led learning’ or ‘unschooling’. It’s great to know what resources are out their to help build on your child’s interests. Why would I need to piece or supplement? I have always had a hard time finding a curriculum that has EVERY component I feel it should have. (This is a big reason that I do not use a box curriculum.) I pull from a wide variety of resources to cover all the subjects, and then I sometimes add even more things in to make that ‘perfect’ curriculum for us. I want to take this time to share with you a few inexpensive (and some FREE) resources I use to piece and supplement our early elementary subjects (most specifically History and Science). www.EnchantedLearning.com – for just $25 a year you can have access to a wide variety of worksheet and online activities for so many topics! Postal History Foundation – Lots of great worksheets with old stamps with a wide variety of subjects. $5 for up to 20 student lessons. These are really fun! My son enjoys looking at the stamps, and they always throw in a Ziploc of random stamps, so you can start a stamp collection! Paperback Swap – Get rid of what books you don’t want in exchange for books you do want. It only costs the price of shipping for books requested from you, then you get points and can request books you want. You can make wish lists and are notified when books you want become available! NRA Gun Safety with Eddie Eagle – They offer free samples of their curriculum, but as homeschoolers we don’t need the full sets. 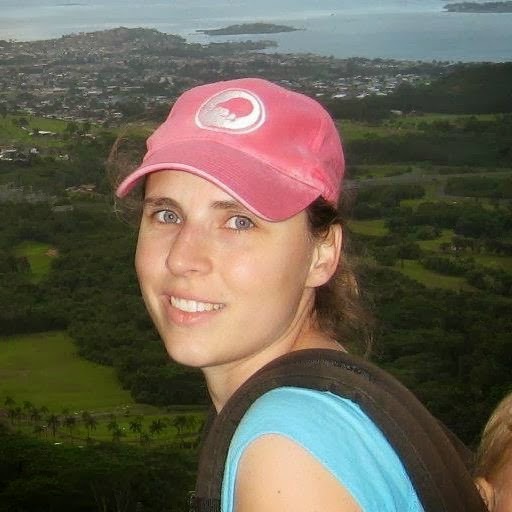 I was honest and said I was a homeschooler and had 3 kids (their grades) and they set me enough sample for all three…FREE! Check your local library to see if they participate in Hoopla Digital – it’s FREE audiobooks, streaming videos and music! FREE Space DVDS – I was gifted with 100+ DVDs and would be happy to share with you. Email me and I’ll send you a copy! You can always check my blog for my lesson outlines, workboxing ideas and FREE printables. This year we are studying Earth Science and US History! Hopefully I’ve shared some resources that you were not aware of and that can be helpful to you! Stop by my blog or leave a comment here to share resources YOU use!